Today at the BBC Essex Radio studio! I hope some of you managed to listen in to hear me on BBC Essex today, if you missed the show you can still log on and listen to the show on the BBC Essex Web site. It was a very appropriate day for me to be at the station, following the tragic death of a four year old boy in a dog attack in his Grandmother’s home. I had a sense of carrying a big responsibility as I drove to the studio. I felt strongly that some sense has to come from such a tragic event, if we can only get through to someone out there and save another child or hopefully children. 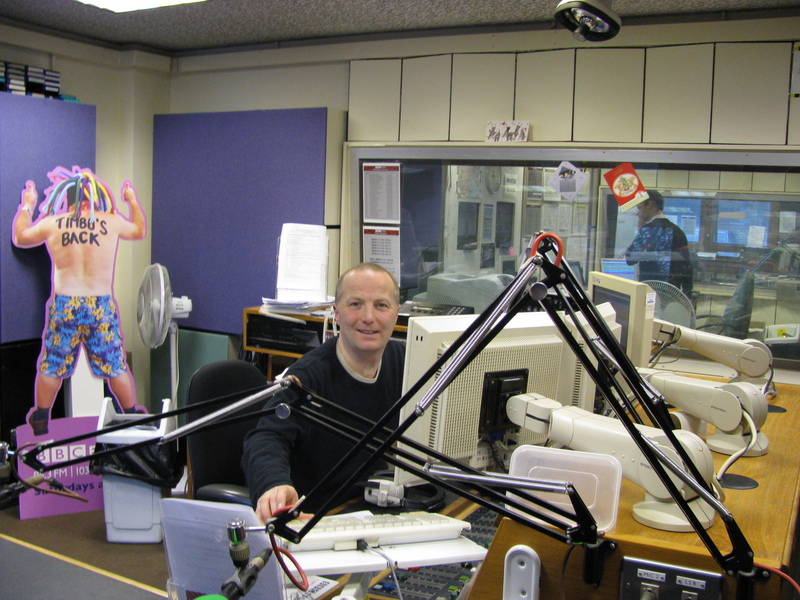 I can honestly say it is the most passionately I have spoken at any time on the radio! I am glad to say there was a strong response to the show with many calls, so many we had no hope of addressing them all, sadly, but at least we had peoples attention! I pray that even more were affected by the dog behaviour we discussed. One of the controversial calls was from a lady with a 2 year old Golden Retriever, the dog had recently bitten her badly on both her arms, 2 vets had recommended the dog destroyed and one dog behaviour professional had alledgedly said the dog’s behaviour could be changed and they were prepared to work with the owners. This lady has a 13 year old son, would you recommend her to train this dog? Professionally and personally I would not, if there were just 2 adults in the house that would be there choice, but with a child present I would not and will not. It is a tough event to walk into the vets to have a dog put down, I know I have had to do it, but that is the responsibility we must embrace when we live with and love dogs, people and especially our children must come first. With any dog attack there are always or almost always warning signs if we don’t heed them we can find ourselves in a similar position to the lady with Golden Retriever or worse. Nip it is the bud, do not ignore dog aggression, prevention is always better than the cure, for once a dog has bitten to this degree there is no way back! « We all had a great morning training our dogs!